A few months ago I started posting on Facebook a list of my top 100 road trip songs. I borrowed this idea from one of my favorite literary characters Lucas Davenport, as authored by John Sandford. In one of the books, Lucas is given an I-Pod as a gift from his wife. He makes a list of the top 100 rock and roll songs of all time that he wants on his I-Pod. This becomes a minor subplot as he and his friends bicker about what to include and not to include. I tweaked the idea a bit and decided to make a list of my ultimate road trip songs. I semi-regularly pick a song and post it with a YouTube clip of that same song. I do this for my own amusement, figuring that nobody is interested, but I am happy when I get a like or a comment. And deep down in my heart, I hope that some FB friends, especially my former students, will listen to the clip because they have never heard the song before and maybe they will expand their musical horizons. The criteria is pretty flexible. In truth, I make it up as I go. I tend toward long songs when I travel because they chew up time and scenery. For the most part they should be driving and/or upbeat, but not all the time. For example, I selected “Scarborough Fair” because that is the song played in “The Graduate” when Dustin Hoffman drives from Santa Barbara to Berkeley. Many of my choices are about being on the road, although this is not a requirement. Of course, just like Lucas, I have received several suggestions from my friends. I always take the suggestions under advisement, listen to the song if I am not familiar with it. If I like the song, I will select it and thank the friend for participating in the home edition of the list. In many cases I pick a song because it received a lot of radio play while I was traveling from Prescott to Azusa, California (and later Albuquerque to Azusa) during my college days. I did not have an 8 track player in my car, so I was forced to listen to the radio, or, because there were long stretches of road where there was no radio reception, I would play some homemade cassette tapes on a little recorder/player on the front seat. Rod Stewart’s “Maggie May” is one of those songs. Today I selected it as #58 on my Fantastic Road-trip List. But I have a stronger memory of “Maggie May” than those college days, and it isn’t a pretty memory. 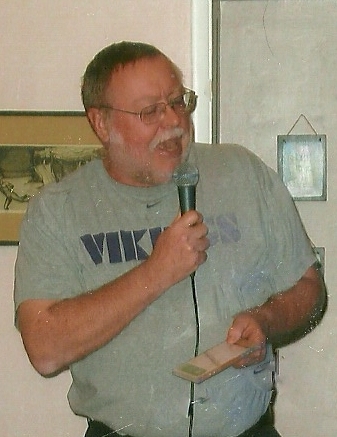 For the first, only, and last time I sang Karaoke, I elected to sing “Maggie Mae”. It was at a faculty Christmas party. The host had a karaoke machine. I am not a huge fan of Karaoke. It serves no purpose other than to allow someone to humiliate themselves in front of drunk strangers. I have seen some hideous things done in the name of a karaoke performance that good taste and decency prevent me from discussing in a public forum such as this blog. Some things should never, ever be shared. Back to the Christmas party. The host kept encouraging people to get on the karaoke machine. But there were no takers. Two of our female faculty members wanted to sing karaoke, but didn’t want to be the first ones. They indicated a willingness to sing if someone else would break the ice. At that point they turned, looked at me, batted their eyes and told me that if I would sing first they would surely sing next. They also said some vague things about how much fun it would be, pretty please, etc. etc. Guys, you know the drill. So even as my logical thinking brain was telling me that no good could come of this, I, for some reason believing I was destined to save the party, grabbed the mic and the book and took my first step into the black hole of karaoke. To this day I cannot fathom why I chose the song “Maggie May”. There were plenty of other good songs to pick. Besides, to properly sing “Maggie” one needs to like gargle with battery acid to get that Rod Stewart rock and roll raspy voice. Or at least have a bad case of strep throat. “Wake up Maggie”… and let the humiliation proceed. Of course, most readers, especially guys, know the outcome of this little tale. Much like Charley Brown, Lucy and the football, the girls pulled the ball and I fell flat on my back. As I handed them the mic, they demurely declined saying something about not being interested anymore and they went out to the backyard to grab some more food. Just like that movie, no surprises here. I should have sang the Donny Osmond song.